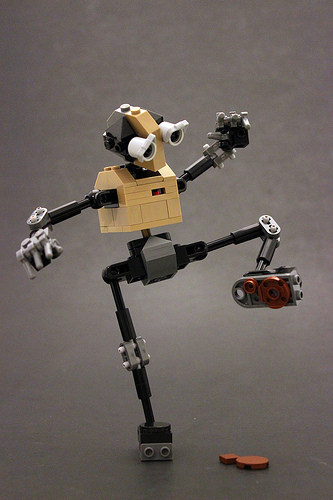 Tyler Clites has embarked on a new project, crafting a friendly little robot with loads of pose-ability. This robot was intentionally made with lots of articulation and the fundamental elements of a face that allow us humans to interpret emotion from facial expressions. Tyler has been updating every day or two with new poses and expressions, and plans to continue for several weeks. Tyler is doing some fantastic work here: taking a relatively simple build and imbuing it with emotion and personality. This sort of creativity is what makes LEGO building amazing. 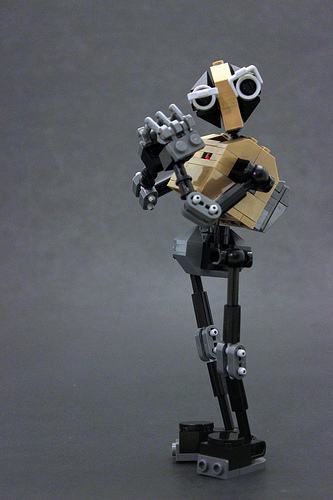 We’ll be featuring the dramatic little robot again as his acting broadens, so be sure to watch TBB to see more of him. 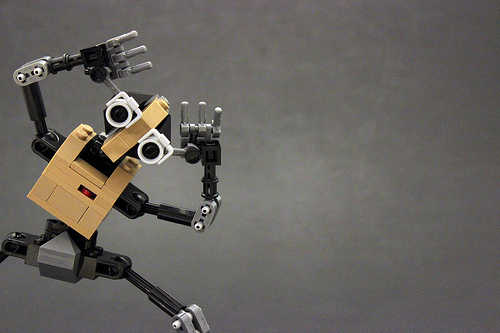 In the meantime, check out E-MOTE’s photoset to see all of his poses so far. 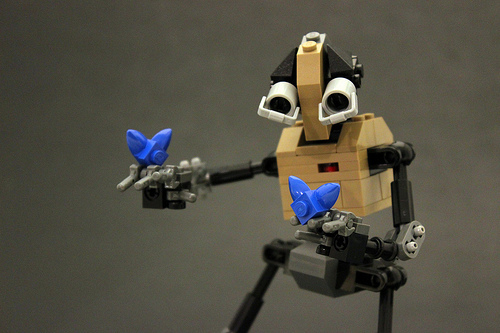 Today, E-MOTE discovers the wonder of butterflies. I agree with everything you said. I love it when you can actually play with something that’s built. Sadly, I lack this gene, and I would make expansive cities, intricate buildings, etc. Then demand of my younger sister: “Now play with it!”, and she would, happily. and my personal favorite: Getting a great idea… while falling to your doom. 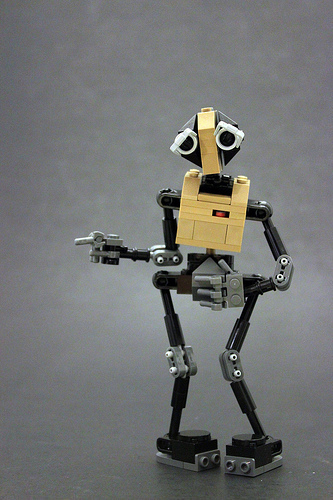 I see photos of this model come in my flickr feed for some time and they just brighten up my day, this is an excellent and very expressive little bot.